Danny Chau: The Rockets aren’t a thorn in the Jazz’s side. They’re more like a virus, swimming in the bloodstream, endlessly reconfiguring itself to better drain the life out of a particularly susceptible victim. Utah happened into its kryptonite: Houston is a team that, at any point will have, at the very least, three ball handlers on the floor, all having been given a vote of confidence to force and attack mismatches at will. The two-man game has long been the link between the two poles of the positional spectrum, where the guard and the big man coalesce to form a coherent union; ironically, the Utah is arguably the most iconic home of the traditional pick-and-roll in history. For the Rockets, however, their lethal offensive tango doesn’t have any restrictions; point guards will screen for their shooting guard, so long as it can produce a favorable switch in partners. Houston, with James Harden as its stylistic and systemic avatar, will take whatever it is you dish out and reroute it against you in the bluntest way possible. D’Antoni, long known for truncating his rotation, went 10 deep Sunday, and seven different players scored in double figures; even the reserves profited from the same basic game script. Harden, specifically, has become the ultimate read-option quarterback, and, in Game 1, he appeared to be honing his processing speed for the matchup ahead. The Jazz opted to shade Harden right much of the game, a strategy effectively deployed by various elite teams during the regular season. But all year long, Harden has proved that making plays doesn’t require getting into the teeth of the defense. Not when you’re elusive enough to completely sidestep the defense. All the attention Harden commanded meant there were potential lobs and corner 3s galore, and though Rudy Gobert can occupy the space of two players when he’s couched down around the paint, he is still human—he can’t deny the corner and wall off a lob attempt. Harden had 10 assists on the night: six went for dunks, four went for 3-pointers. All in all, the Beard was responsible for 53 points in under 33 minutes. Gobert is Utah’s defensive fulcrum and has improved by leaps and bounds defending in space compared with where he started from. But he may never be truly equipped to handle the balletic grenadiers that make up Houston’s primary (and secondary) line of attack. Chau: The regular season was Nurse’s laboratory for six months. 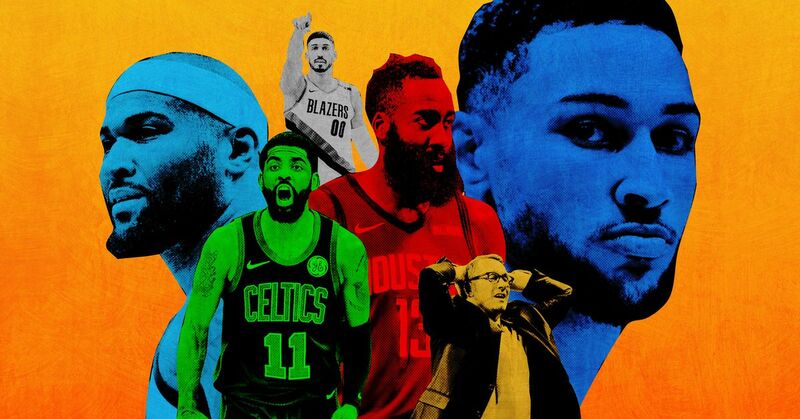 The NBA’s most visually poindexterous head coach experimented with lineup permutation after lineup permutation—occasionally at the expense of easy wins—in a greater pursuit of knowledge. Kawhi Leonard’s “load management” mandate, which kept him out back-to-back games to keep his body fresh for the long haul, funneled into Nurse’s impulses: He needed to know what he could get out of his non-superstars. But so much of the narrative surrounding these Raptors broadcasts how this season would be different from the five prior; how Leonard would be unmoored. So, uh, what happened on Saturday against the Magic, Nick? Leonard averaged 34 minutes per game in 60 regular-season games. He played 33 in Toronto’s 104-101 Game 1 loss, a sort of recurring nightmare that has seemingly embedded itself permanently within the team’s playoff DNA; the Raptors are now 2-14 all time in Game 1s. Given how effective Leonard was scoring in limited time (25 points on 10-of-18 shooting, including 3-of-5 from 3), that lone minute disparity could have been the difference. Since the deadline, I’ve become increasingly concerned about the team’s lack of size on the bench; the only perimeter player taller than 6-foot-4 is second-year forward OG Anunoby, who will likely miss most of the postseason recovering from an emergency appendectomy. Anunoby gave the Raptors a defensive wildcard—a player who would theoretically allow the Raptors to downsize without giving up a strength advantage in the frontcourt. Without him, as we saw in Game 1, the Raptors are forced to go full Honey, I Shrunk the Kids. The second-most-used lineup on Saturday had Serge Ibaka and Siakam up front with a three-guard backcourt of Kyle Lowry, Fred VanVleet, and Norman Powell, whose average listed height is a tick under 6-foot-2. Their lack of size and penetration ability played right into the outstretched arms of Orlando’s cadre of strong, long-limbed wings. The Raptors shouldn’t be too worried about the state of the series. They still have the talent advantage, and have all the weapons to neutralize the Magic’s most dangerous players: D.J. Augustin may have gone off, but Nikola Vucevic, Aaron Gordon, and Terrence Ross combined to go 11-for-35 from the field. Toronto also has a very obvious solution on their hands: Be true to their word, and let Kawhi cook. But the Raptors are undoubtedly vulnerable; without the depth and versatility that they touted earlier in the season, they’ll be far more reliant on Leonard and Siakam’s individual brilliance to carry them. Nurse’s job is no longer about experimentation. It’s about ensuring that nature takes its course. The Golden State Warriors have tried for three months to fit Cousins’s brute force into their beautiful game, but outside of a few fleeting moments when they’ve leaned hard into Boogie Ball, it has functioned more like adding a euphonium to the Rolling Stones. Cousins ended Saturday’s 121-104 victory over the Los Angeles Clippers a minus-17, despite playing the bulk of his 21 minutes with the staters. He also had six turnovers and missed all but one of the four shots the Clippers were happy to give him above the foul line. When Cousins subbed out for the last time, the Warriors could breathe again. 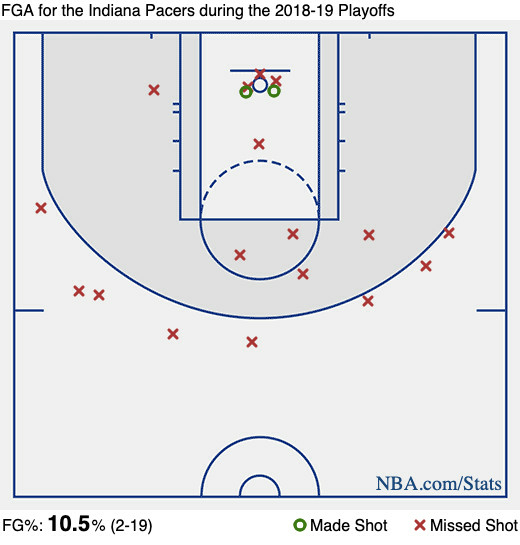 After a careless turnover (an integral part of even the best Warriors teams), Steph Curry grabbed one of his 15 rebounds on the night, got the ball back from 28 feet out on the other end and drilled the 3. Kevin Durant stuffed Danilo Gallinari on the other end. Andre Iguodala checked in for Shaun Livingston to unleash the Hamptons 5, and Durant went full Giannis, rumbling down the lane for a dunk that, for all intents and purposes, ended the game. The Warriors gained only two points on their lead, but they played with a precision and confidence seen only in the best of times; Durant would get tossed soon thereafter for tussling with Patrick Beverley, but even that may have been his most endearing moment since winning his second Finals MVP. In 13 minutes, the Warriors’ starting lineup was a minus-22.5 net rating; swap Cousins for a suddenly bouncy Iggy and it jolts to 46.7 in six minutes (see what happens when Draymond Green makes a damn shot?). Kevon Looney, Cousins’s primary backup, was also plus-30. Cousins’s bully tactics and skilled passing still have a place in these playoffs, especially against Houston, a team he’s brutalized in years past. But if opponents continue to size down, as the Clippers did in Game 1 to avoid Ivica Zubac’s baby-deer-on-ice minutes, it may be best to think of Cousins as this year’s JaVale McGee rather than the final infinity stone. His elite vision and passing touch is obstructed by several complicating factors, and it’s no secret that his lack of shooting ability is chief among them. But at least shooting is something we know he can’t do. It’s another thing entirely when he squanders his own talent on a break by impeding the progress of his own teammate trying to fill the lane. Simmons’s impulse is always to get into open spaces as quickly as possible, which either means moving directly into the path of his teammates, or moving so quickly that by the time he delivers the pass, the window has already slammed shut. The Celtics’ defense got more physical fighting through screens coming out of halftime—even Kyrie Irving took off the white gloves for stretches—and forced a Pacers team that averaged the second-fewest 3-point attempts in the league following the loss of Victor Oladipo into mostly contested 3s and long 2s. Still, 1-for-14 from 3 over the second half from a team that usually makes them when they take them is some next-level comeuppance; Indy’s 29 points over the third and fourth were also the fourth-fewest in a half for any NBA team this season. Boston was hardly scorching the nets, either. “Did we score 90 points?” Irving asked the assembled press afterward. Nope, sure didn’t. But winning this 84-74 mudwrestling match still bears some encouraging signs for the Celtics. There’s a lot of eye-of-the-beholder material in Game 1s, especially in one decided by such an extreme event like the Pacers’s shooting amnesia. You can say that Indy won’t shoot that poorly again. You can say that a Celtics defense that ranked among the league’s elite in the early season returned, or that all Brad Stevens needs is 15 minutes with a whiteboard to expose an opponent’s biggest flaw. Honestly, I’m not sure any of it is totally correct. But you can say that the more talented found a way, and that’s saying a lot given the baggage Boston carried into the postseason. The BBC’s live feed of the UK House of Commons (which is actually delightful), on mute.